You are here: Home / Expertise / Articles / Outdoor Patio Fireplaces To Make Your Summer Sizzle! Outdoor Patio Fireplaces To Make Your Summer Sizzle! Is your patio design missing a crucial element to make it truly special? Including an outdoor stone fireplace makes a beautiful exterior space, amazing. The use of vein-cut tiles for outdoor patio fireplaces is a contemporary trend we’ve been noticing from our clients who work in high-end custom home building and we wanted to share the excitement with you. 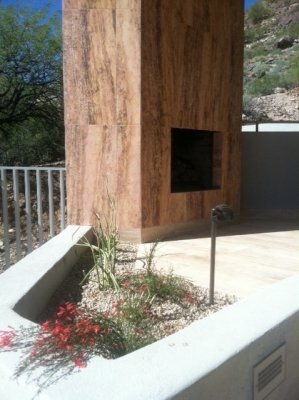 This stunning outdoor fireplace is adorned with Durango Autumn Vein-Cut planks. 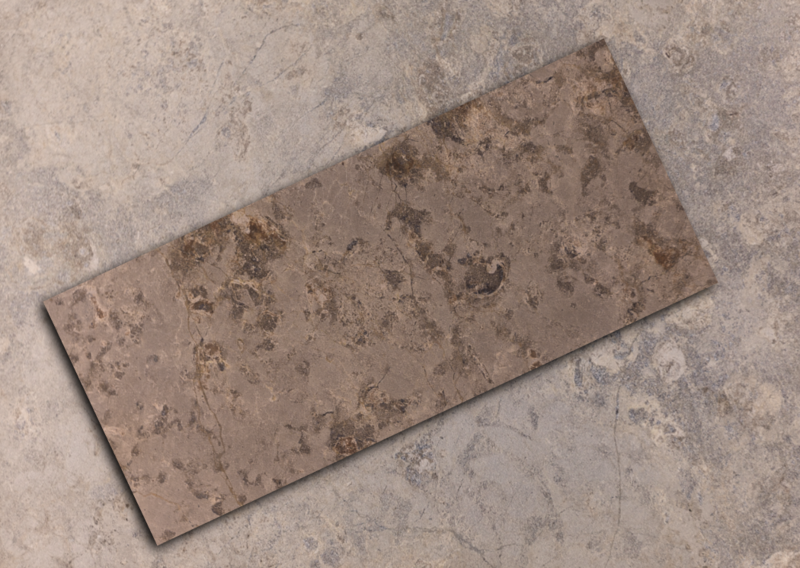 The modern pool deck features Durango Espresso Vein-Cut.